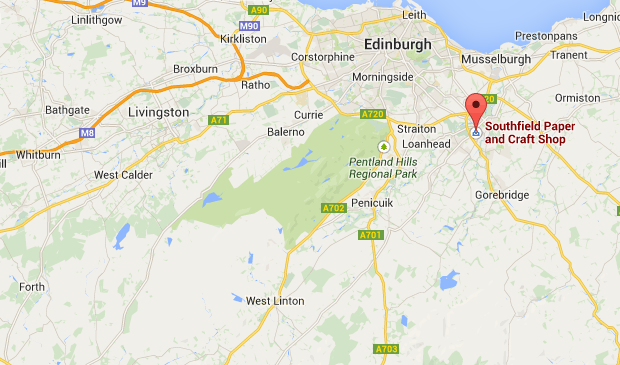 OUR ADDRESS – 25 Hardengreen Industrial Estate, Dalkeith, Midlothian, EH22 3NX. You can travel to us by LOTHIAN BUS, the 49 and the 29 both stop at Tesco Hardengreen. It’s just a short walk through to our shop. The 3/3A will also bring you within walking distance if you get off at the Eskbank Toll Roundabout. The 49 route – The Jewel (ASDA) – Portobello King’s Road – Lochend Roundabout – Foot of Leith Walk – North Bridge – Cameron Toll – Royal Infirmary – Danderhall Old Dalkeith Road – Sheriffhall Park & Ride – Dalkeith Jarnac Court – Hardengreen Tesco. The 29 Route – Silverknowes – Crewe Toll – Stockbridge – North Bridge – Cameron Toll Shopping Centre – Gilmerton Terminus – Tesco Hardengreen. The 3 Route – Clovenstone Drive – Sighthill Colleges – Haymarket – North Bridge – Cameron Toll Shopping Centre – Gilmerton Terminus – Eskbank Toll. When you get off at TESCO you walk through the lane to the railway station. Cross the line and turn left heading into hardengreen industrial eastate estate. It's a short walk down the hill to our factory at the far end of the Industrial Estate..
Travel from Eskbank roundabout down Dalhousie Road turning right at the bottom of the hill before the building with the steel structure outside its bricks. Then turn right again, travel to the end of the Industrial Estate. The old cycle path has been closed due to the new waverly railway line. We have a brand new station 300 yards away from Southfield. This can deliver you quickly and easily from Edinburgh or the Borders. This is how we look......... sure you can spot us from this!!! Thanks for taking the time to look at our page. We hope you visit our factory shop soon or attend one of our useful demos held in shop. Looking forward to chatting to you then!